Join REI and Pinnacles National Park Foundation for a hike at Pinnacles National Park Foundation to search for the majestic California Condor in its native habitat. You and your REI guide will be joined by an expert condor tracker and long-time volunteer with the Condor Restoration Program who will lead a 3 to 5 mile hike with 1000-1400 feet of elevation gain in potentially hot weather. Along the way you will hear all about the condor’s fight for survival from near extinction as you search for the magnificent but elusive bird soaring overhead or perched on a pinnacle. 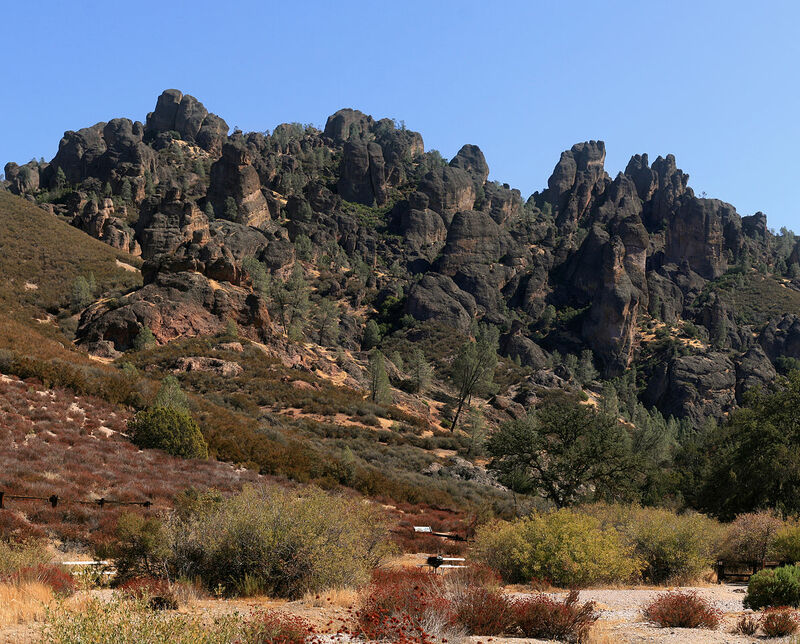 You will learn about the geology, flora, and other wildlife that inhabit Pinnacles National Park, a unique and beautiful addition to the National Park System. A significant portion of your registration fee directly supports the Pinnacles Condor Fund to aid in condor recovery. Please note that condor sighting is highly likely but not guaranteed on this tour; an amazing and educational day in the wilderness is guaranteed!